Julie R. Nolen joined the University of Georgia as senior director of development for Grady College in February 2018. She has almost 24 years of fundraising experience in higher education. 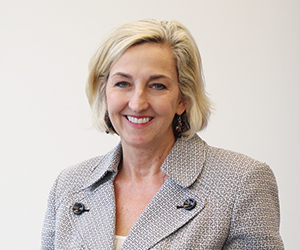 Prior to UGA, Julie served most recently as executive director of development at Auburn University, where she oversaw fundraising efforts for the College of Education. She joined the university’s Office of Development in 1995 as director of donor relations. During her career at Auburn, Julie received the Soaring Eagles Award for fundraising success in 2010, 2015, 2016 and 2017. She holds a Bachelor of Arts degree in Public Relations – Communications/Journalism from Auburn University and has taken graduate-level classes in Communication. In her role at UGA, Julie’s primary responsibility is to secure resources for Grady College. She also works with volunteers, donors and alumni who wish to stay well informed on the activities and opportunities at the college.